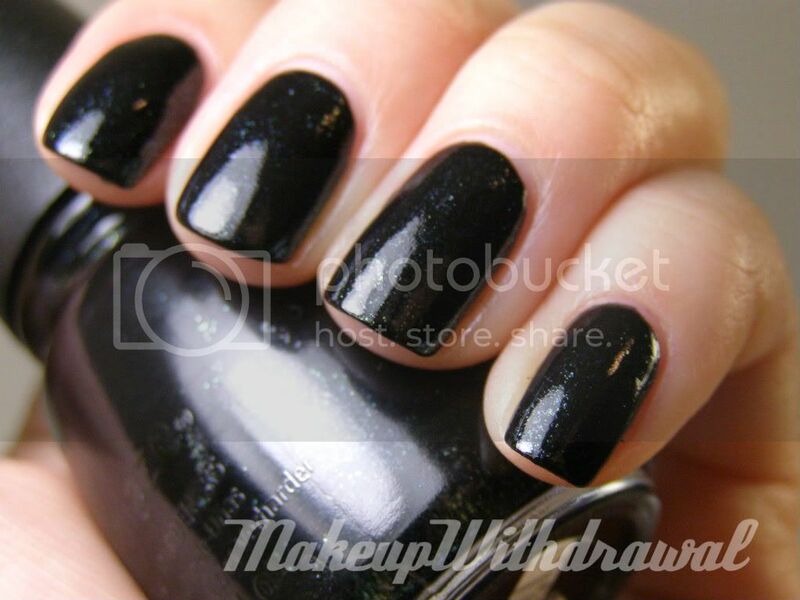 This was the other polish from the China Glaze Hunger Games collection that I really wanted. Smoke and Ashes, an inky blue-black that contains flecks that shift from green to blue. Edit: As I was inspecting my bottle last night, I noticed that most of the flecks had sunk to the bottom of the bottle. Keep this in mind, it might require you to roll the bottle around a bit if you want even dispersion of the flecks. Of course, the flecks were impossible to capture. 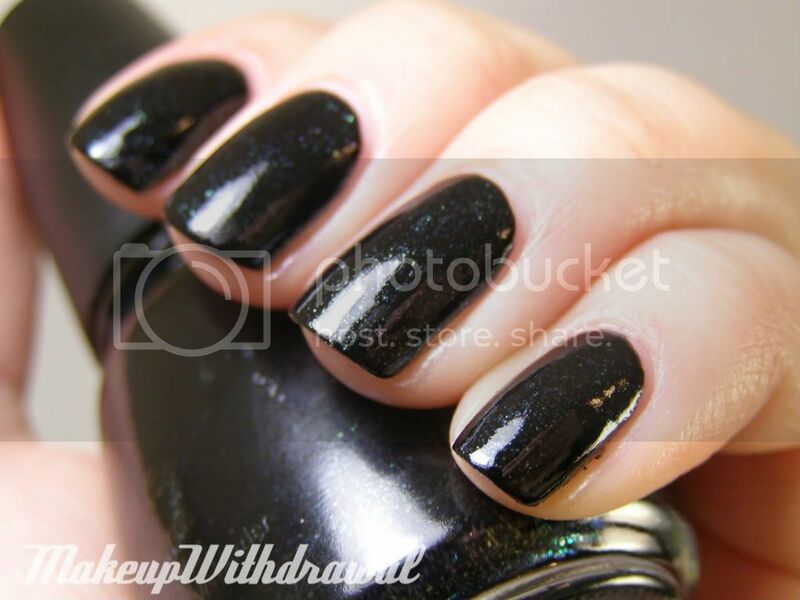 I urge you to check this polish out in person so that you know what I mean. I like it. I think it'd be a great base for galaxy nails or layered with CND effects. What do you think? Is it interesting enough that you'd want a bottle? Or do you have something similar?